A crazy couple's epic quest for awesomeness! Though raised in Mumbai, I am Tamil. 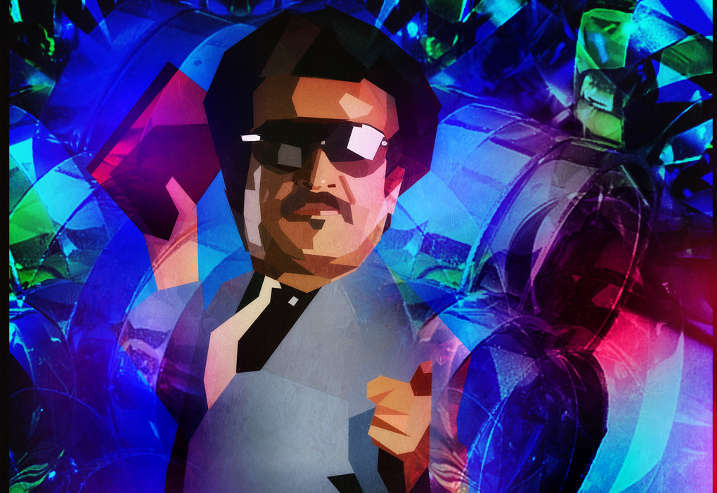 People from Tamil Nadu have a huge affinity for their top actor of all time, Rajinikanth. Internet memes have been created in his honour. At every movie theatre in Tamil Nadu, be in Chennai or Kanyakumari, when a Rajini movie is aired, fanatic Tamils stand up and cheer his every punch dialogue. It can be comical, entertaining, bewildering or exasperating, depending on whether you like him or not. I am not a big Rajini fan, nor do I call him a superstar, nor think he is a particularly good actor. But even I cannot deny that his so-called ‘punch dialogues‘ are packed with lessons for life, especially in the virtues of productivity, discipline and humility. Add to that the music scores that accompany his every punch line and the words seem profound and immortal! In an acting career spanning more than 40 years, the total count of Rajini punch dialogues goes well into three figures, perhaps even four. But I have picked my favourite 8, especially those that I think have the most valuable lessons. All the dialogues are in Tamil. For the benefit of my non-Tamil friends, who are in fact the majority, I am translating the movie names and the meaning of each dialogue into English. So, get ready for the best lessons in life…. Rajini style….. Mind it, I say!!! 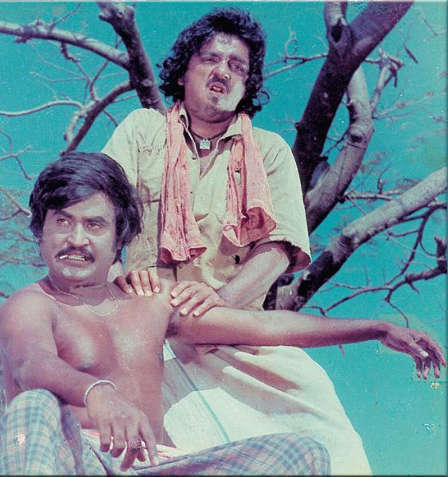 Scene after scene, villain Rajinikanth picks on a hapless and lame Kamal Hassan, teasing him, insulting him or playing pranks that lead to injury. More insinuating is the fact that Rajnikanth turns to his other bully buddies and asks them the titled question. To which, they guffaw and whistle, leaving a hurt Kamal Hassan very humiliated. Although used antagonistically and sarcastically in the movie, it shows the idea of constant feedback. Feedback is necessary to improve yourself and make changes. It makes you grow as a person. When you build something you care about, when you want to be better for someone you care about, it may be worthwhile to pause a while and ask, “idhu eppidi irukku?”. FMCG in India is a potpourri of copy cat products. Stride into the familiar aisles of a shopping mall and you see those familiar names…. Surf, Ariel, Tide and so on. I have now forgotten which one is made by Unilever, which one by P&G and so on. Because they all look and feel the same. Ditto for cold drinks from Pepsi and Coca Cola. Drink either and you don’t see the difference. Biscuits from Britannia aren’t different from those of Parle. You can pick any product from the shelf and you’ll probably forget the brand five seconds later as the product goes deep into your shopping cart. Not with Patanjali. The company makes closer to nature products, using less preservatives and less processing. A really strong point has been their ultra-cheap pricing and their distribution network. Sometimes they book their own shelves at malls. And they even have their exclusive retail Patanjali outlets. Leonardo da Vinci was different for his time. So was Pablo Picasso. Thomas Edison, Henry Ford, Warren Buffet, Jeff Bezos. All of them challenged the status quo and found their unique way that seperated them from the crowd. Maybe they seem eccentric to the contemporaries. Maybe they are geniuses. But surely they can say, “En vazhi…. thani vazhi”! (I don’t talk without thinking. And I don’t think after having talked). 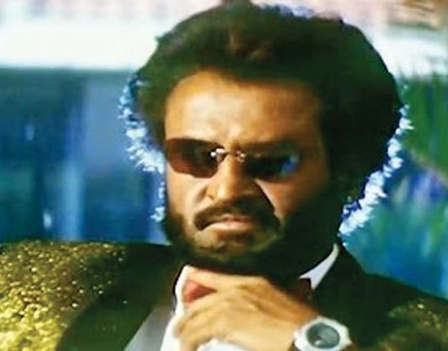 Whenever he takes a tough decision, a spiritually active Baba character played by Rajinikanth is asked several times by his peers whether he has thought it through. And every time, Baba unleashes this punch dialogue to the accompaniment of a rock music number (B to the A rap by Blaze) in the background. This rhyme-laced dialogue is one of the two dialogues in this post that endorses the power of commitment. Before you commit to anything, you need to think it through. If you do not feel like committing, back out. If after much thinking, you realise that the commitment is for you, then go ahead. After committing, you are not encouraged to have second thoughts. You should have thought it through in the first place. A famous customer care mantra says, “Underpromise and overdeliver” or “Promise less and do more”. This lowers customer expectations and surprises them when you give them more. Saying NO to your customer for something you can’t meet shows your honesty and understanding customers will adjust. On the other hand, if your promise them and then can’t keep it later, it reflects badly and the customer feels cheated. However, if you feel that a certain promise falls in the grey area and you are unsure about whether to commit it, then it is better not to do so. But in the end, if you are able to deliver it, then you should do so. The customer will be very happy. We have seen car service companies, bakeries and electronics companies who throw in a few free goodies every time we go there. A crooked car door fixed for free, a set of free candles when the baker knows that you are buying a cake for a birthday or a complementary talk-time recharge from your mobile phone vendor make you want to do business with them again and again. In this movie, while initially shown as an auto driver, the main character is revealed to be a dangerous kingpin with several connections to murder. However, like Robinhood, his bloodshed is limited to keeping other malicious kingpins in check. This dialogue endorses commitment. The character says that he is ready to say the same thing hundred times without any change to his words. The commitment is long-standing. ‘Kadham’ is a Tamil adjustment of the Hindi word, “Khatm”, due to inadequacy of letters and other grammatical rules. The word means over or finished. Several times in the movie, Baba cuts his ties with the past with a sweep of hand and this dialogue. The sweep of hand is accompanied by a blade-like sound in the background, signifying the character’s severance with his past. Indeed, there are times in your life where your past shouldn’t be a baggage for today. If you wrecked your car in an accident in the past, it doesn’t mean that you cannot drive thousands of kilometres around your country today. At the same time, the glory of your ancestors shouldn’t get to you. Just because your ancestors were good artists doesn’t mean that you are genetically predisposed to be good with oil paint and canvas. You need to learn that yourself. Punctuality is one of my favourite traits. I am reasonably good at it, though not 100%. No wonder then that this dialogue gets my soft corner. Muthu, the horse chariot rider, has a habit of being nowhere to be seen, but popping up at places right on time, whether it is for his master’s temple prayers or to rescue someone from an evil antagonist. This dialogue is repeated twice or thrice in the movie, everytime when Muthu unexpectedly crawls out of the woodwork to save the day. 2. Always show up. Don’t be absent when you are needed there. Both actions exude reliability. It makes everyone trust you and depend safely on you. First, they’ll know that you won’t miss and that you will show up. And then, that you will show up on time. There is just one thing about Muthu that I don’t agree with. For theatrical effect, he pops up at the last minute. I like to be where I need to be with plenty of time to spare. Reaching the airport 90 minutes before the flight when the rules call for 45. Waking up at 4:15 am and getting my laptop, phone and charger ready and plugged and booted up so that I start typing on my keyboard at 4:30 am. Last-gasp punctuality will eventually run out of luck. A wonderful article about ‘doing something’ and ‘managing to just do something’ was written by Priya, my wife, a few months ago. Famous performers like Elvis Presley and Michael Jackson succumbed to the temptation of drugs to enhance their performance on stage. Later, the abuse got to them and they lost their lives. Taking drugs to enhance performance is a short-cut. The body is made to burn harder and extract more performance from the muscles. Such performance is not sustainable and the body eventually responds with a seizure or a heart attack. We have seen these during high-stakes sports events like Tour de France and the Olympics. The glory is often short-lived before the athletes are found out and shamed. And then there are people like Usain Bolt, who worked their way to the top with sheer struggle and practice. It’s the same case for Michael Jordan. We see these shortcuts in every field. Falsification of reports, fudging of account books and flouting taxes to show a higher profit to shareholders as against working on the sales pitch and the quality of products to sustainably and honestly find more customers to book real profits. Slipping towards the easy way. But the easy way is often an unethical, illegal and unhealthy way. 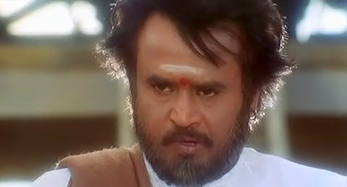 Rajinikanth’s Padayappa character reminds us not to fall into the trap of the easy way out. That which is attained through a lifetime of struggle stays with us. And that which is attained via shortcuts slips away. Rajnikanth still acts in movies and continues to unleash punch dialogues. But with this article, I urge you to analyse those dialogues as lessons for life rather than as one-line entertainers. You will be surprised at what you learn.